Because of the many designs available these days, it might be kind of hard to come up with new designs for furniture, lighting and others. But for creative folks, that isn’t so hard at all. One secret to be able to create something unique is to observe different activities that we do every day or in some occasions. The lighting that we will feature today is designed based on how dominoes look like when caught mid-air. Can you picture that? Once you see the images of the lighting below, you will be able to realize that how it was defined is indeed true. 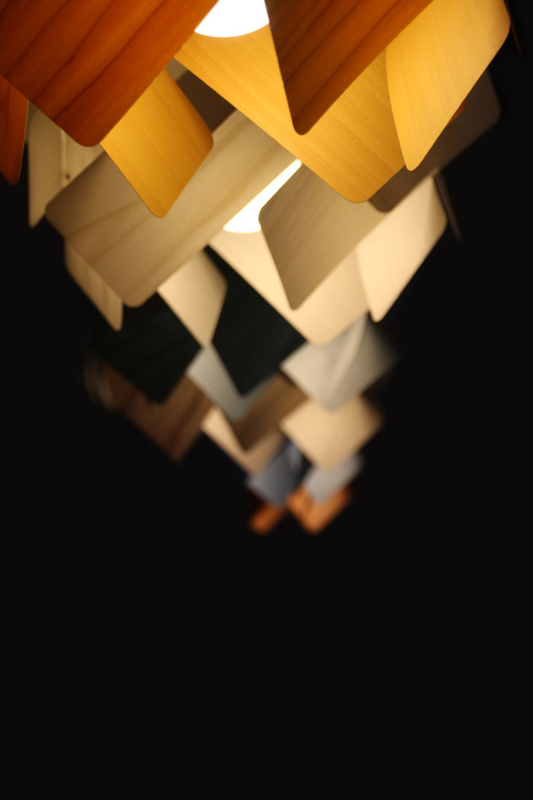 The Escape-S Lamp is a three-dimensional light that seems like dominoes frozen in the air as they were thrown up. Imagine they were caught up in a perfect circle and you will get this lighting. If you are already curious of how it looks like, scroll down below and you will know! It looks beautiful, right? 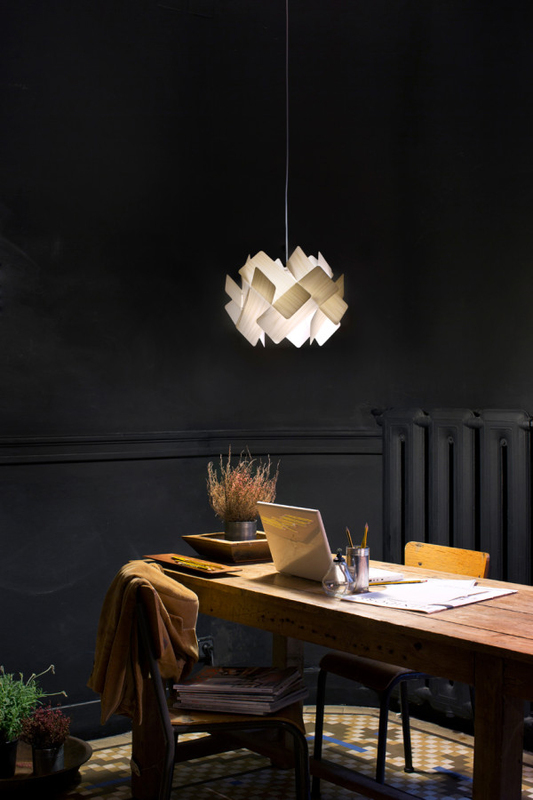 The light is a bit dimmed because of its design but it sure gives a dramatic effect to your space. 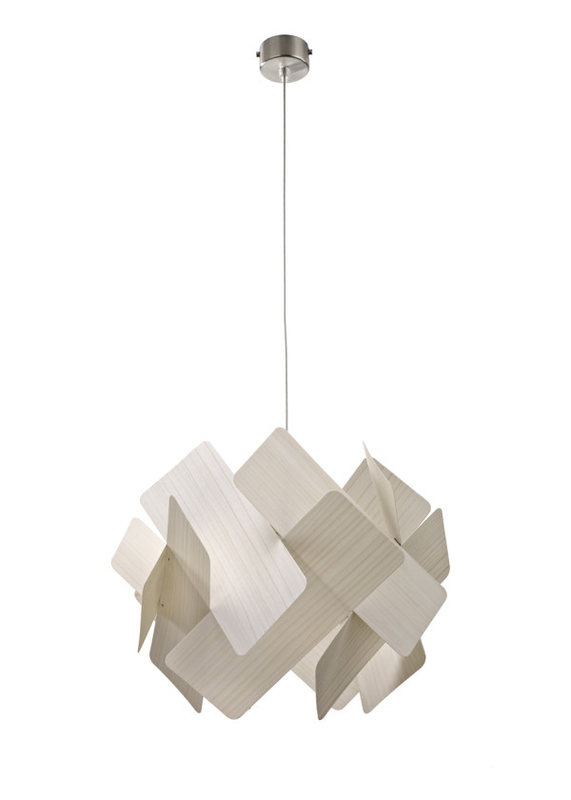 The light extends from the ceiling with pride and beauty while remaining simple. 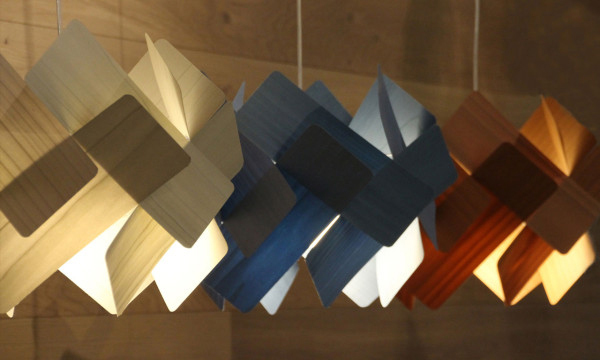 Closer look at the rectangles of the lamp that is actually available in different colors. It has different finishes too. I’m sure you observed how this one differs from the other lamps. Its light peeps through the circular frame of the lighting which gives it appeal. This one used blue finish for the plywood and it looks lovely. 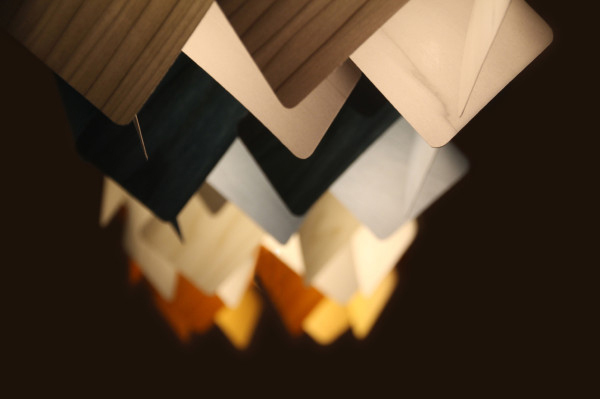 Now take a look at the different colors of the Escape-S lamp. Which one is your favorite? 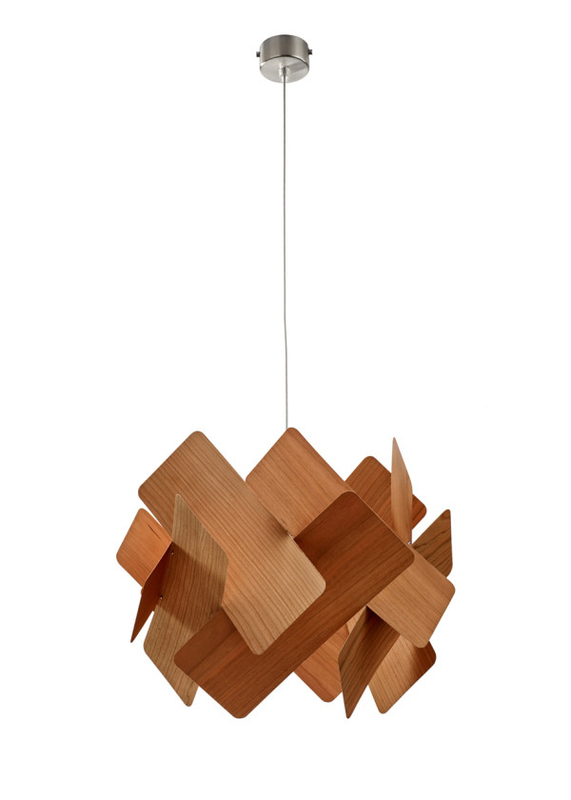 I have actually seen some lights that have a similar look to this one but of course, they are not totally the same. 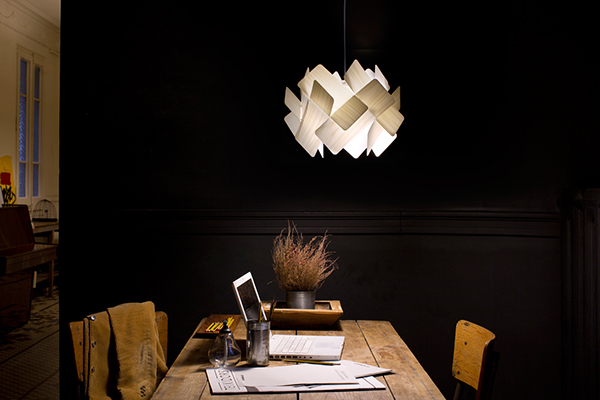 The Escape-S lamp is designed by Iris designer Ray Power for LZF Lamps. Power is known for his designs where he takes two-dimensional components into three dimensional objects. 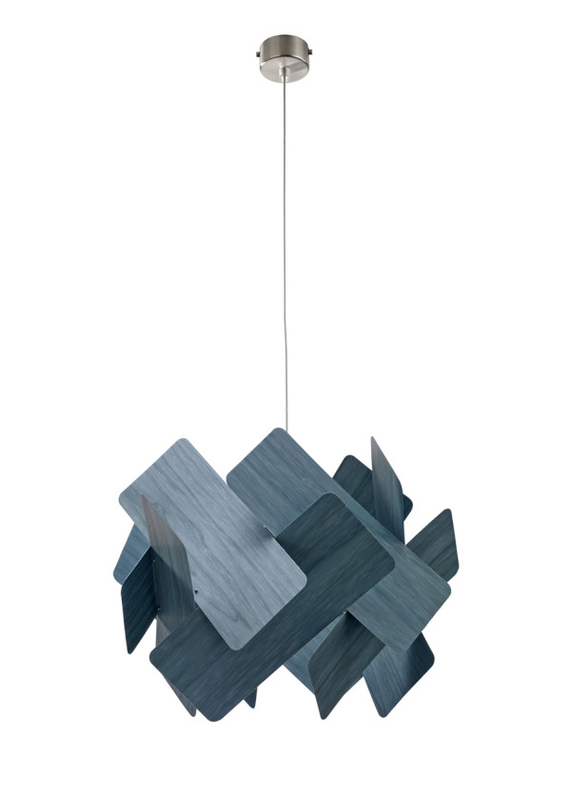 Can you tell us what you think about this lighting?